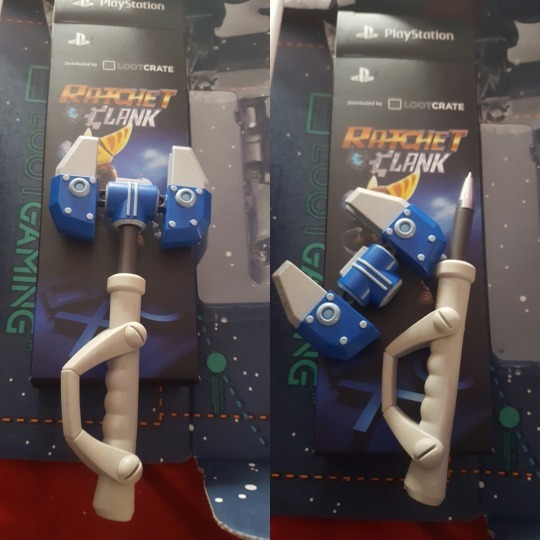 This month's Lootcrate has a special Ratchet and Clank item: a pen in the form of an Omni-Wrench! The wrench-hilt comes off to reveal the pen tip, but it's otherwise difficult to hold, and will most likely be a collectors item. Thanks to Overwatch and Pokemon Go, Ratchet and Clank didn't win any Game Awards–but IGN nominated Ratchet and Clank 1st place for having the best graphics of any game on the Ps4 this year. I personally agree, but find the new anti-aliasing and motion blur overdone, and would be pleased if they dialed it waaay back in any future games. 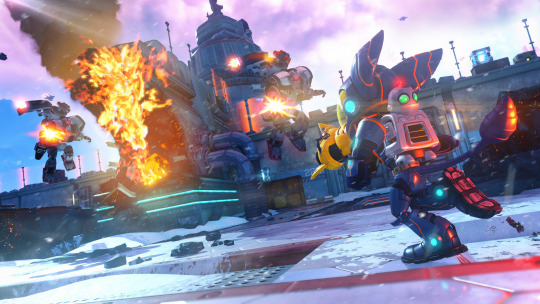 Chad Dezern had this to say about the franchise: "Visually the Ratchet and Clank series is about fun sci-fi, where realistic natural lighting meets painted metal and alien plant life. Every character and environment uses logical construction, but pushed for appeal. 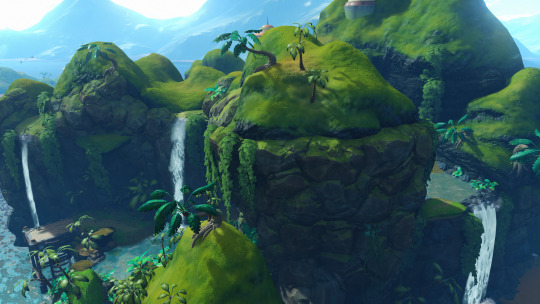 With Ratchet and Clank Ps4, we had the processing bandwidth to realize our vision of exotic alien planets explored by our intergalatic duo, in all their furry and shiny glory." 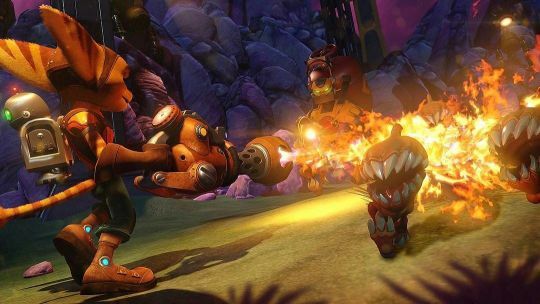 When asked about a possible sequel in the coming years, Insomniac Games has said they are not quite finished making Ratchet and Clank games: they love making them, and people love playing them. 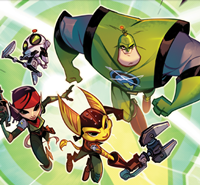 Only time will tell if Ratchet and Clank will have one more adventure left in store. From all of us at Ratchet Galaxy, Happy New Year! "Are any of the images broken on your end? If so, I can fix this…"
All seem to be working on me! Happy new year Animovie and everyone on here! Sure hope that someone sells that pen on ebay.